I have the biggest soft spot for pickles. They’re easily one of my favorite foods. Fried pickles? Heaven. When I was planning Super Bowl munchies, I emailed my husband a list of recipes I was considering and slipped this one in. I was incredibly surprised when he put these in his top two choices – I was so excited! 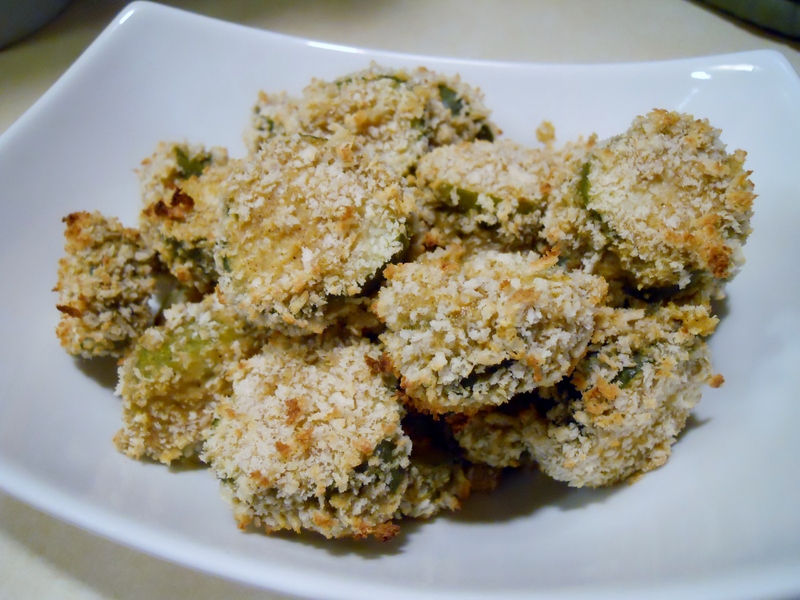 This recipe is a healthier take on fried pickles because they’re broiled instead of fried. Despite not being fried, these are perfectly crispy and delicious. The hot sauce and Cajun seasoning in the batter gives them a nice kick too.